First of all, have you ever heard of Zalonku.com? It's a recently-opened web directory of beauty professionals. 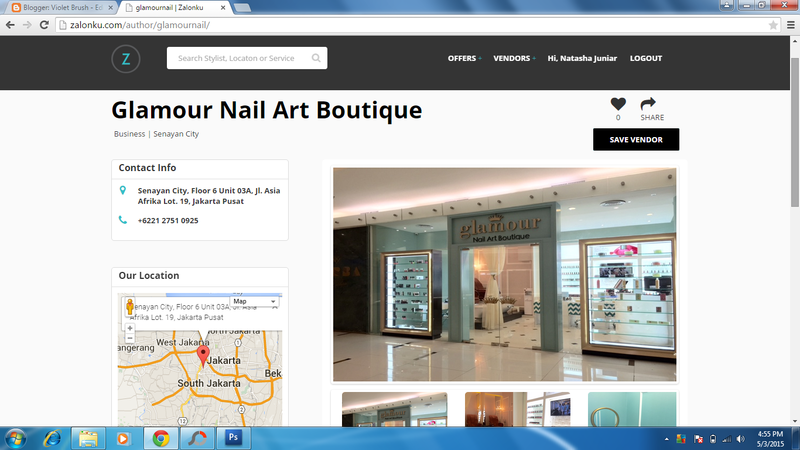 You only needed to type what kind of beauty service you're looking for and the location then voila! 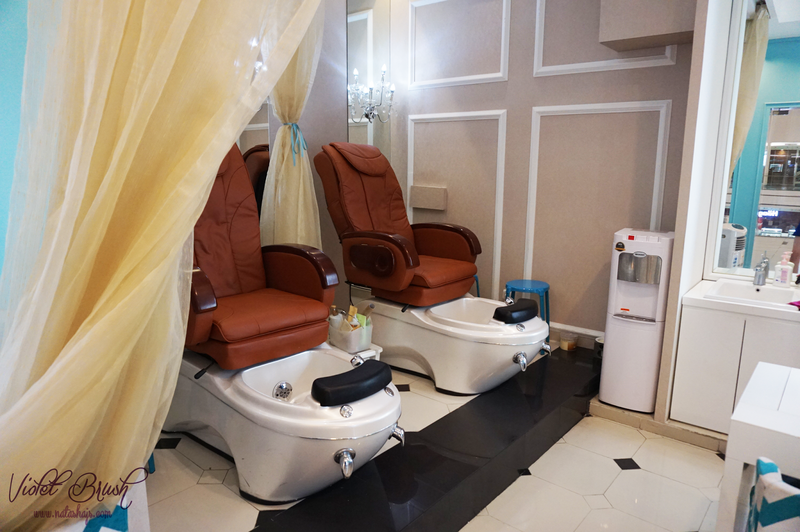 You can see the list of beauty professionals that provides the service you're looking for located around you. 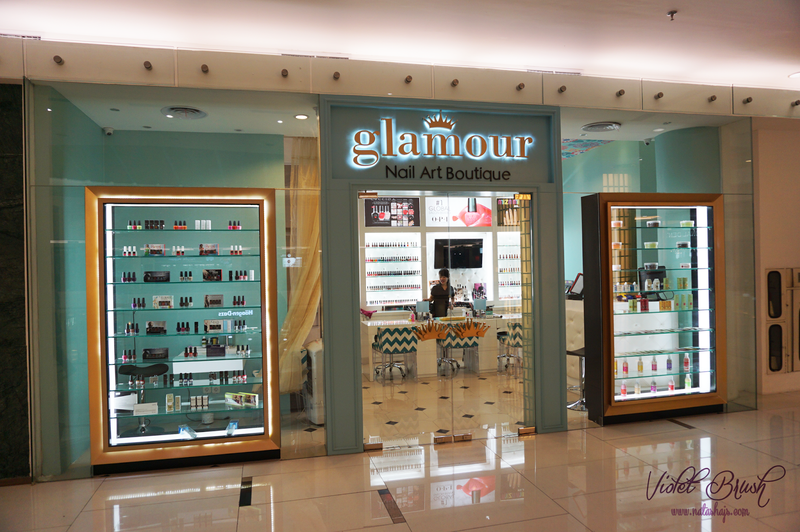 Glamour Nail Art Boutique is located at Senayan City's top floor. First, I would like to say that I really love the boutique's interior design, girly, but not too much, and very cozy with its sky blue paint. I loved their friendly staffs too. Before getting my nails done, I was offered what kind of drink I would like and I just chose mineral water. Then, I chose the base color for my nails and chose the nail-art design. Plus point is, you can ask them to do any design you want! (even if you took the design from the internet) ^^ The products they use also vary, Inglot, OPI, etc. They also provides nail stickers application! After choosing the base color and the design, the nail artist started with trimming my nails and attaching nail extension on my right hand's middle finger (it was broken TT). Afterwards, she applied the base coat and the nail polish in two layers. 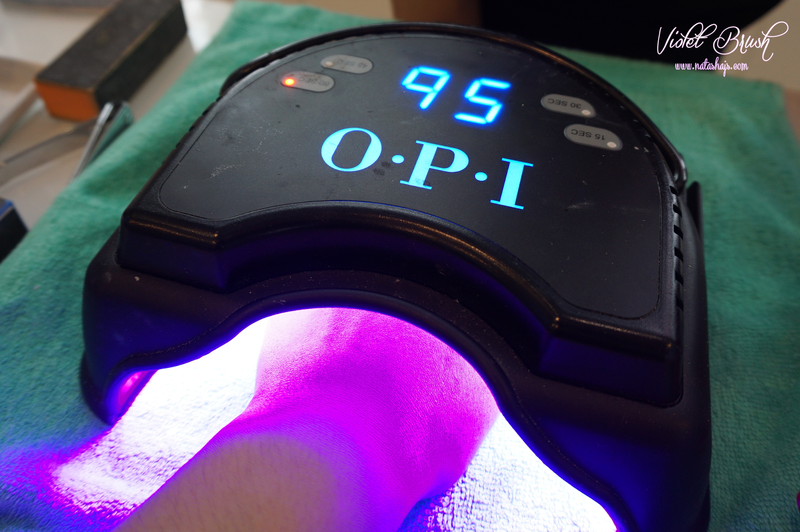 Since I chose gel polish, it was necessary to let the gel polish dry under the UV rays. Next, the nail artist started to draw the design on my ring finger and last, the top coat application. disana mahal ga ya, pricelistnya dalam range berapa ?